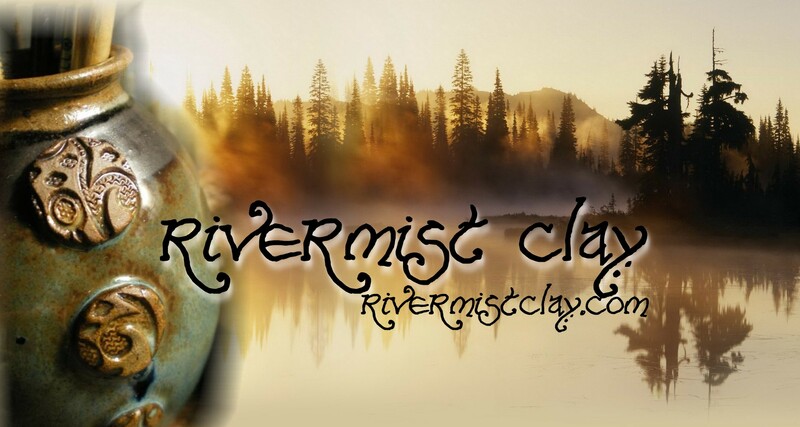 Rivermist Clay is a daughter / mother team of artisans of fine pottery and ceramics. Rachel Kuck started working in clay in high school and loved the art form so much that she took 4 years of pottery at the college level. She has been working in clay for 10 years. Rachel also brings her love of 2-D art to her pottery, her unique style setting her work apart from other potters. Two years ago, Christin Kuck took the plunge into the mud, and follow in her daughter's footsteps. Under Rachel's tutelage, she developed a style of handbuilding that is different from her daughter's, but compliments the business. Our styles are based on nature and the whimsical. We are dreamers and infuse our love of both, which transcends into our work.